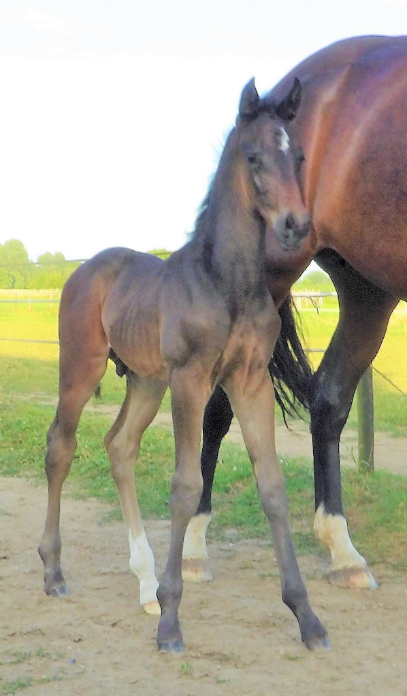 J 'Adore Prok 2 weeks old born 26-4-2014. 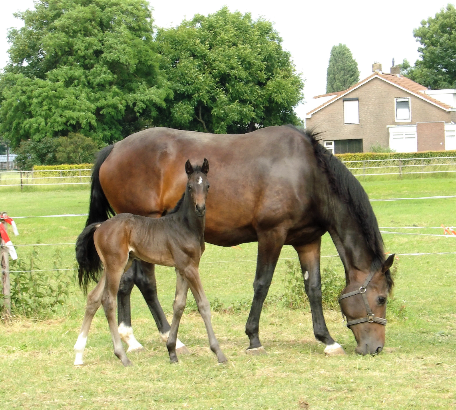 She is a very special very good foal with a very good charakter !!!! 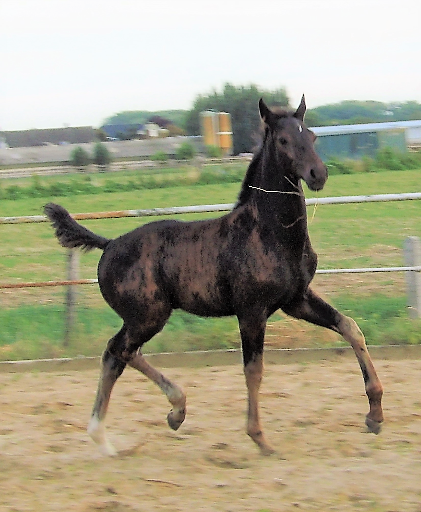 Sire: Glock,s Zonik ( Zack x Romanov x Don Schufro. 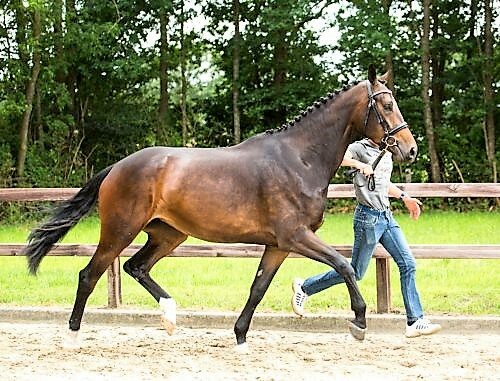 Dam: Symphony K.W.P.N Sport Dressage Z 2 Gribaldi Pref x Diplomat Pref. 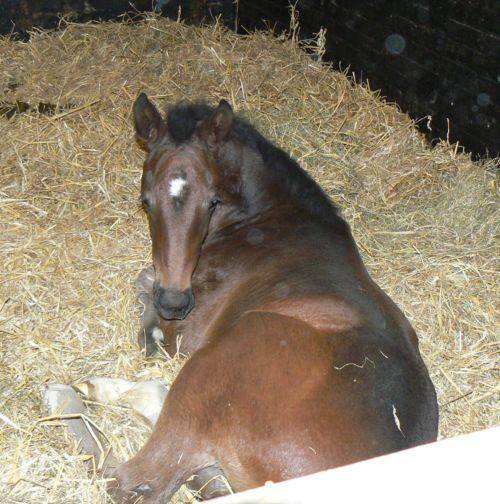 J"Adore on the K.W.P.N C.K foal Show in Ermelo. J'Adore 15 months Year old. J'Adore 17 months Year old. J'Adore prok 3 year old . 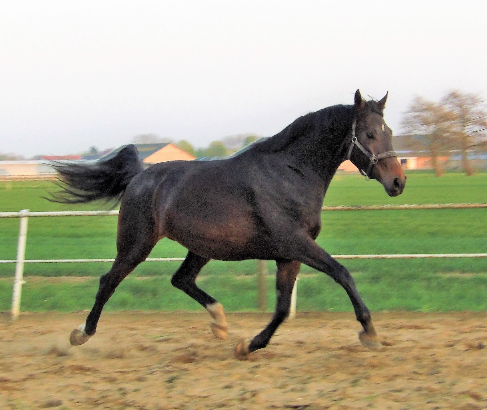 J'Adore Prok 3 year by Marcel van manen. J'Adore Ster Prok 4 year old. 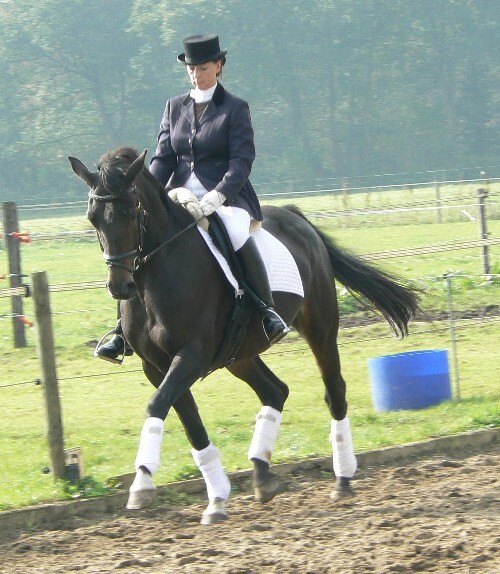 J´Adore with Charlotte van de Steen Inter 2 amazone. J´Adore with Charlotte van de Steen. J´Adore Ster Prok outside by Charlotte van Steen . J´Adore by Charlotte van de Steen. and J´Adore Ster Prok Zonik x Gribaldi Pref. J´Adore Star Prok with her faol November Rain. 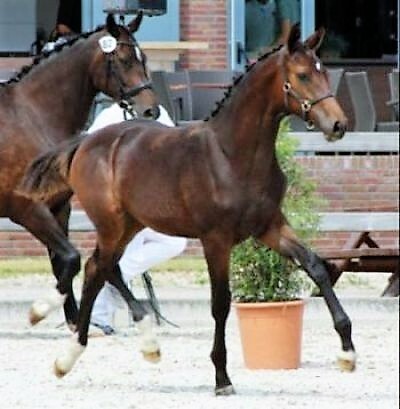 Sold to a real Horse Dressage man. November Rain 3 months old wiht J´Adore Ster Prok. 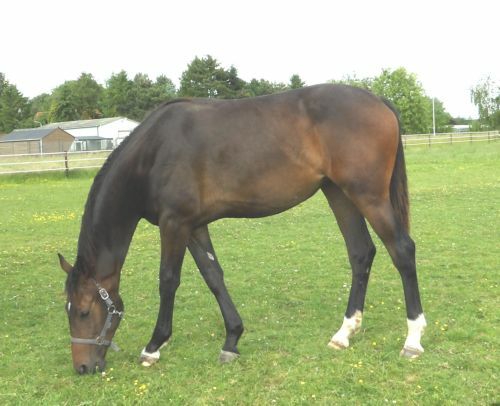 November Rain 1 year old by his new owner . Edward Gal on Chio Roterdam 2017. 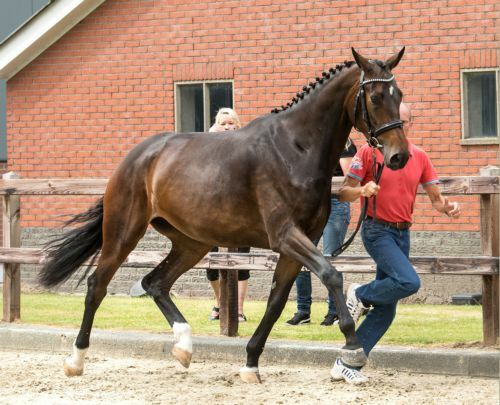 Glock's Zonik wins the Pavo selection with 85 points in Ermelo with Hans Peter Minderhoud. Champion stallion from Danmark with Andreas Helgstrand . Fim from him on the J.B.K Show with Abdreas helgstrand. And film with Adreas Helgstrand. 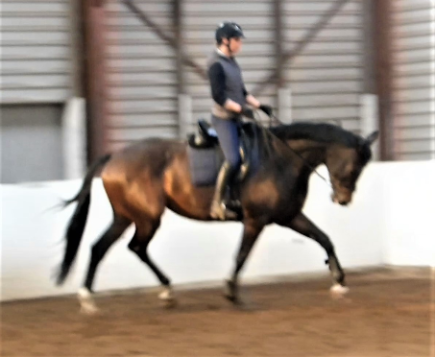 Symphony K.W.P.N Sport Dressage Z 2 Prestatie !!!! Gribaldi Pref x Diplomat Keur. Change from San Remo and Dark Rose from San Remo Z1 dressage. 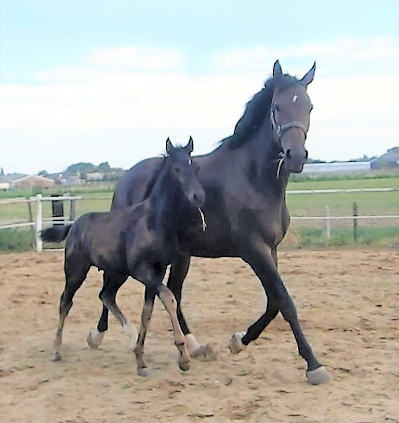 Hi is 3 times in the mother line from Symphony Sport Dressage Prestatie. Hi give the Int jump horse Dudrum hi was 11 rimes jump Champion. And hi get the Zilver medaille on the Oltpische Cames in Mexico. Show on Madison Sqare Garden 1039.